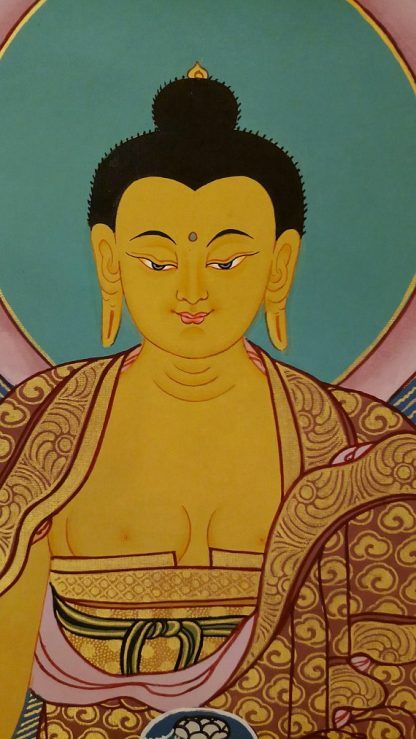 This beautiful golden Shakyamuni Buddha Thangka can be served as a precious wall hanging inspiring you all the item when you look at it for mediation and worship at home or in temples. 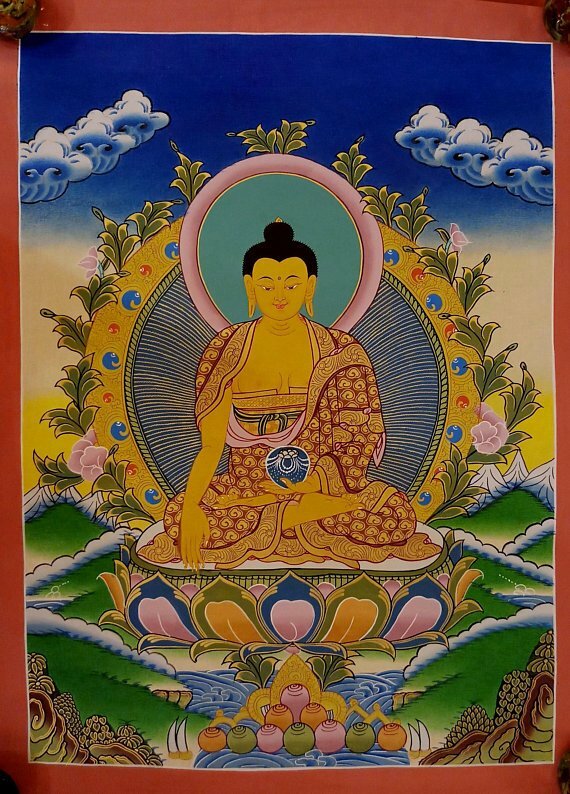 Shakyamuni Buddha was born on 563 B.C. at Lumbini, western part of Nepal. 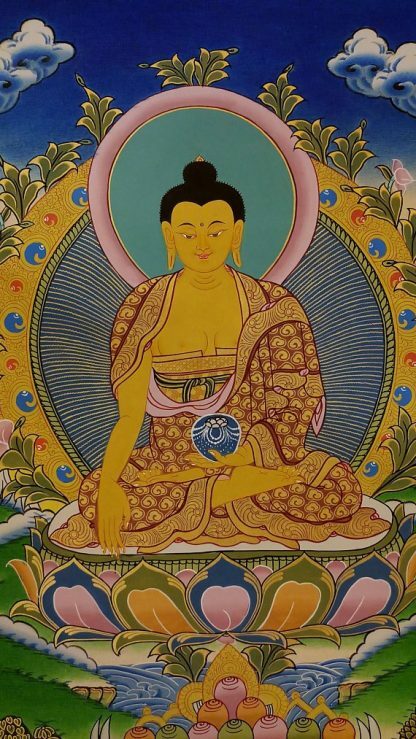 It is believed that he had 550 incarnations and fulfilled all the criteria or paramitas necessary to become Buddha. 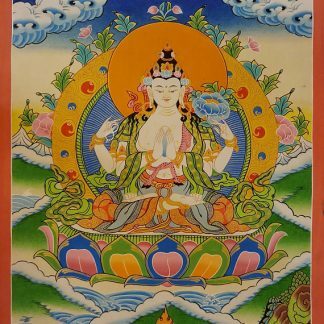 Many previous Buddhas and other Buddhas yet to come are known as Buddhas. To know more about Shakyamuni Buddha check here. 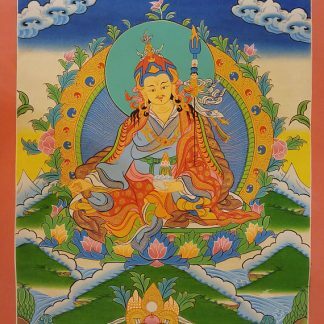 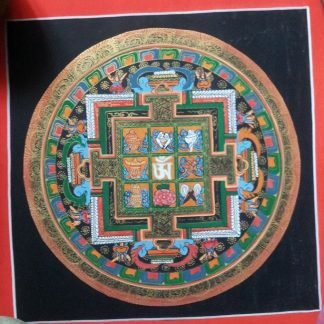 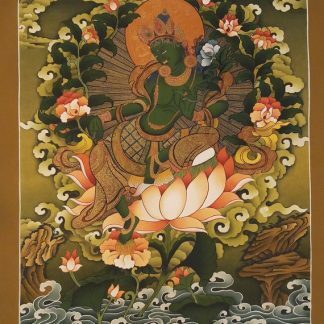 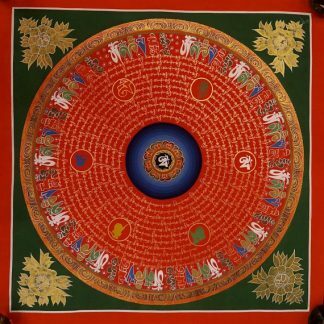 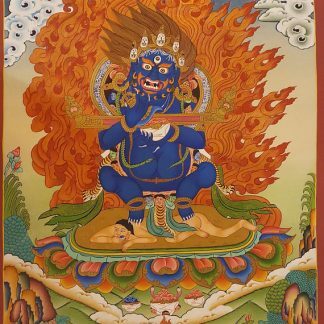 Thangka is a Buddhist Painting perfect for your Meditation Altar and wall Art decoration. 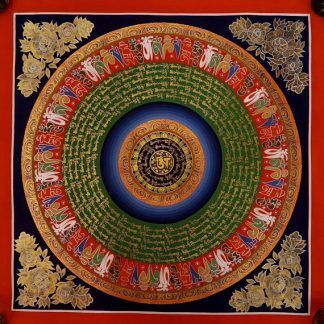 Place it in your living room wall or Altar Wall and make them spiritual. 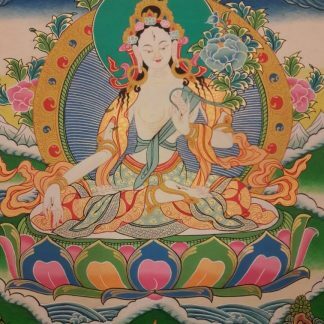 It creates a peaceful environment and inspire you to be more compassionate kind and even encourage you to do meditate or do your prayers. Technical Description of Shakyamuni Buddha Thangka Painting is as follows.